Commercial and residential buildings in Alexandria, Pineville and Ball, and the surrounding Central Louisiana area served by SERVPRO of Alexandria often have all the modern conveniences. Older homes or remodeled mansions can feature beautiful built-in cabinetry and appliances that make life luxurious. Unfortunately, the polished wood and intricate paneling in kitchens, baths, and finished lower levels can hide water damage. Grout lines permit water to saturate drywall or hardwood flooring. Leaks in ice maker or spa plumbing go unnoticed, but opportunistic mold spores always present absorb the moisture and proliferate. Eventually, a musty smell or dark staining alerts customers to call us for help. Our mold remediation crews are IICRC certified and well-schooled in methods to contain and remove microbial infestations. 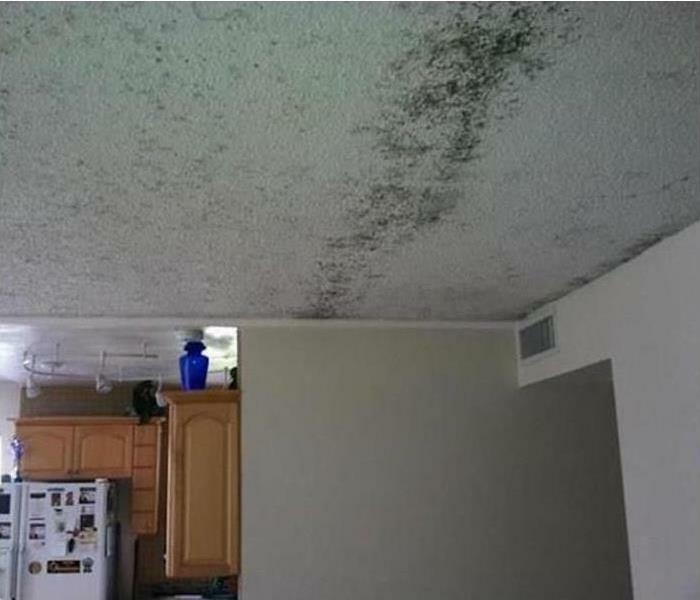 We do not merely treat visible mold, instead conducting a comprehensive inspection to assess the extent of the problem even if it requires opening areas behind walls, over ceilings, and behind cabinets. Experience and training, as well as the investment we make in advanced mitigation equipment, gives SERVPRO of Alexandria the resources necessary to handle mold damage scenarios both large and small. We live and work in this community too; we might even be neighbors. As a locally owned and operated business, SERVPRO of Alexandria is close by and ready to help with your mold-damaged property. We are proud to be an active member of the Alexandria community and want to pitch in and help make our community the best it can be.